Ambassador Susan E. Rice served President Barack Obama as National Security Advisor and U.S. Permanent Representative to the United Nations. 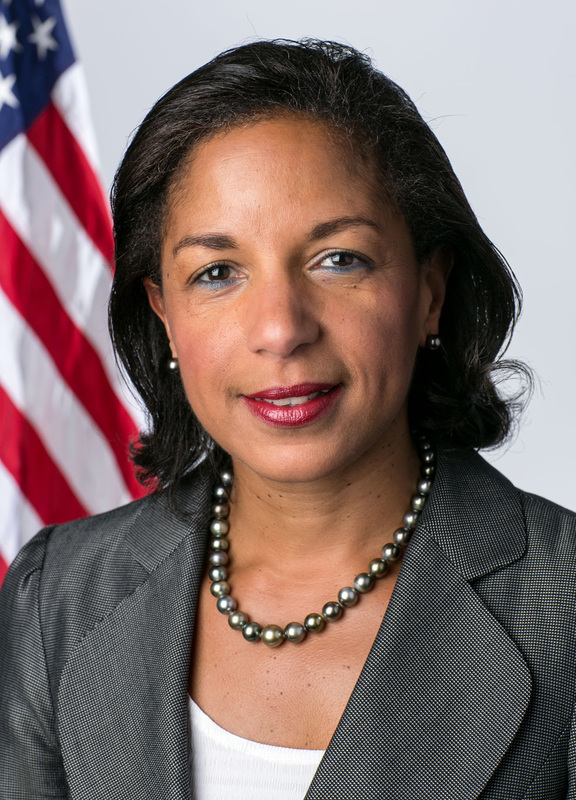 In her role as National Security Advisor from July 1, 2013, to January 20, 2017, Ambassador Rice led the National Security Council Staff and chaired the Cabinet-level National Security Principals Committee. She provided the President daily national security briefings and was responsible for coordinating the formulation and implementation of all aspects of the Administration's foreign and national security policy, intelligence, and military efforts. As U.S. Permanent Representative to the United Nations (UN) and a member of President Obama's Cabinet, Rice worked to advance U.S. interests, defend universal values, strengthen the world's security and prosperity, and promote respect for human rights. In a world of 21st Century threats that pay no heed to borders, Ambassador Rice helped rebuild an effective basis for international cooperation that strengthened the United States' ability to achieve its foreign policy objectives and made the American people safer. Ambassador Rice served as U.S. Assistant Secretary of State for African Affairs from 1997 - 2001. In that role, she formulated and implemented U.S. policy towards 48 countries in Sub-Saharan Africa and oversaw the management of 43 U.S. Embassies and more than 5,000 U.S. and Foreign Service national employees. Rice was co-recipient of the White House's 2000 Samuel Nelson Drew Memorial Award for distinguished contributions to the formation of peaceful, cooperative relationships between states. From 1993-1997, she served as Special Assistant to President William J. Clinton and Senior Director for African Affairs at the National Security Council at the White House, as well as Director for International Organizations and Peacekeeping on the National Security Council staff. From 2002-2008, Rice was a Senior Fellow at the Brookings Institution, where she conducted research and published widely on U.S. foreign policy, transnational security threats, weak states, global poverty and development. She began her career as a management consultant with McKinsey and Company in Toronto, Canada. She has served on numerous boards, including the Bureau of National Affairs, National Democratic Institute and the U.S. Fund for UNICEF. A native of Washington DC, Ambassador Rice is married to Ian Cameron, and they have two children.